Brick Lane’s best Fro-Yo Spot, The Sloane Bros.
Alfie and I love all kinds of desserts, but there’s nothing like a little frozen pot of heaven on a hot day. We went off for a wander around Brick Lane market, took a look at the many vintage shops and after trying on a few garms decided that maybe tiny running shorts and oversized sunglasses aren’t my thing (oh well). I was doing my best to be “healthy” and had bought a lovely pot of fruit but Alfie had been drawn over to this cute frozen yoghurt shop, The Sloane Bros, that we had walked past a few times before. I not-so-reluctantly followed him inside, because my love for fro-yo is undeniable. The store is very bright, with their fro-yo filled bowler hat logo painted colourfully on the wall. 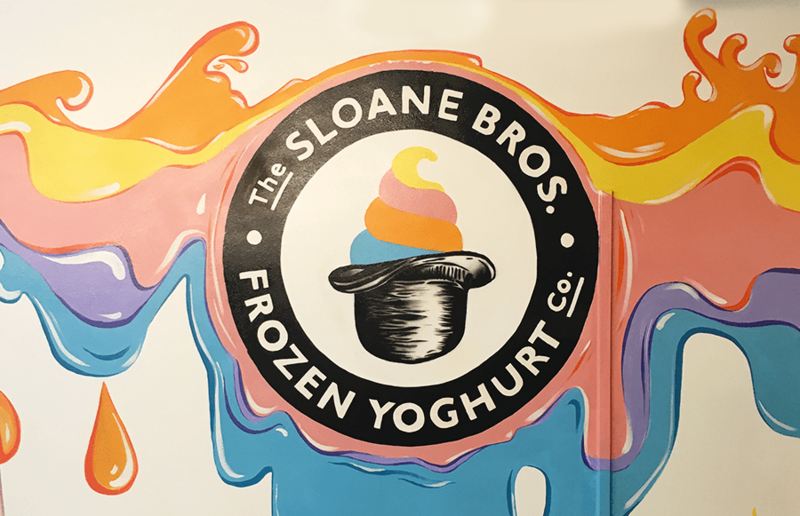 The Sloane Bros claim the story behind their existence comes from “A wonderfully fortunate incident involving a batch of yoghurt, a bowler hat and a freak snowstorm”. Their frozen yoghurt comes in a variety of four flavours: Natural, Chocolate, Strawberry and Dulce de Leche. 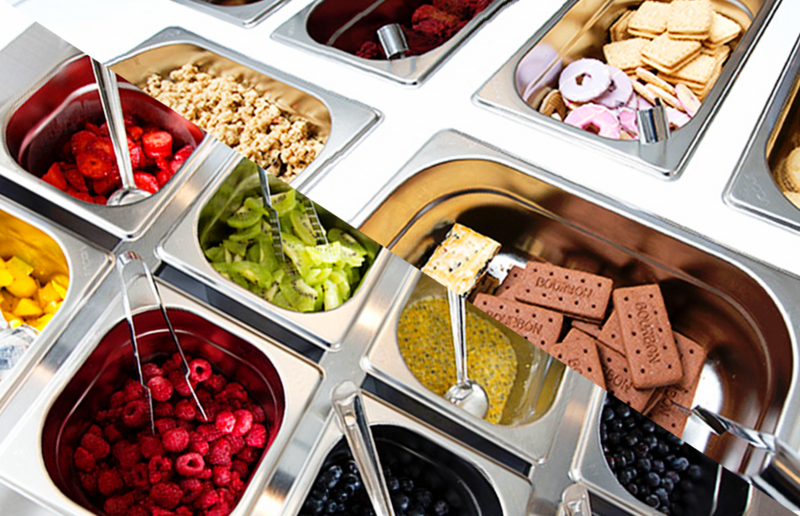 Plus you can pick from different toppings and sauces including brownies, fruit and biscuits! We had one to share; choosing the natural flavour topped with raspberries, blueberries, granola and a delicious red berry brownie. All topped off with chocolate sauce! If you fancy trying out their flavours then pop over to Brick Lane this week and cool off from the hot weather in the most delicious way possible! Cool off with Brick Lane's "Spiked Slushies"